As the International Atomic Energy Agency held its Board of Governors meeting and annual General Conference over the past two weeks, the members of this often-overlooked United Nations body found themselves thrust again into the public limelight and burdened with a rapidly expanding agenda. 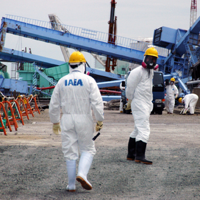 Governments jousted over how to craft new approaches to deal with the aftermath of the nuclear accident at Fukushima, divvy up the agency's budget and deal with controversial nuclear programs in the Middle East. The debates took place among a membership bitterly divided between those states with advanced nuclear capabilities and those that lack them, divisions that are likely to persist even after the agency turns the page on this year's meetings.